Sarah Atereth is a #1 hit global recording artist, founder of Beguile Records, inspirational speaker, coach and thought leader. 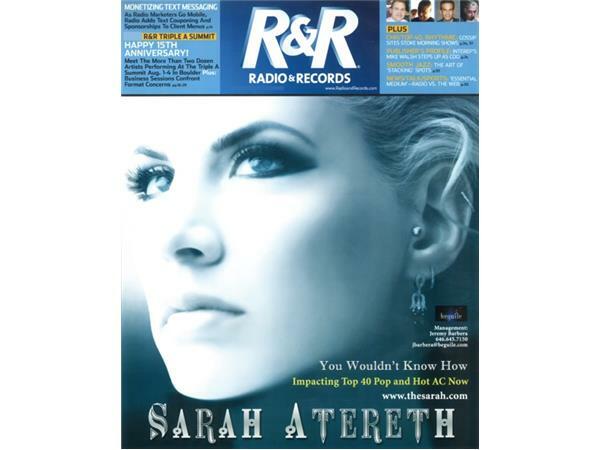 Sarah has been on the cover of Radio & Records Magazine & Music Week. Sarah is proud to be one of the faces supporting Until.org with Kevin Bacon, Jessica Alba and Michael Phelps, a national organization dedicated to eradicating HIV/AIDS by raising awareness and funds to combat this pandemic. How did this unknowing kid make her way from her first dance class in a strip mall in Colorado to becoming a #1 hit recording artist with 5 hits worldwide in an industry with a 99% failure rate? Armed with only the joy and life’s purpose she found in dance and music, Sarah set out to New York City on her determined path to figure out how to become her passion. Slammed with struggles and rejection along the way, Sarah continued to pursue her artistic vision and tear through barriers to get her music out to the world. Sarah is blessed every day to work with people from all over the world helping them to use these same steps to supercharge their lives acheiving sensational success. Sarah is a graduate of Columbia University.